Kasper Andersen has revealed how his injury woes of last season have made him a stronger person. 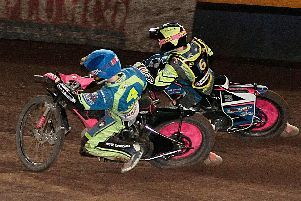 Andersen started the season with Premiership King’s Lynn but crashed out with a shoulder injury and was out for two months. 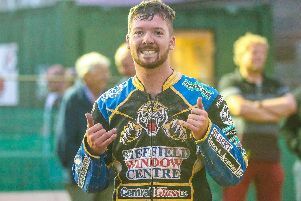 He failed to win his place back in the Stars side but Sheffield handed him an opportunity to impress late in the season – and he did enough to earn a place in the Tigers 2019 team. “It really made me understand that not everything is easy,” Andersen said. “It was the first time I had a real injury, and it made me realise how important it is to have a clear mind and to believe in yourself. “But I came back quite well and had some good scores for Sheffield despite it being a tough year for both me and the team. “I came with no expectations, but this year I expect myself to do just as good, and hopefully even better. “I’m just going to take it one race at a time and I won't give up just because of a bad heat. “My aim is to be an even better speedway rider and make a name for myself. Meanwhile Andersen will also feature for King’s Lynn in a doubling-up role after the Stars unveiled him as their latest team member. Thankfully there will be no fixture clashes because of the set race nights for the different leagues – Tigers will race home meetings on a Sunday and there will be no King’s Lynn meetings. He said: “It’s really good for me to be able to double-up because it means I’m going to be extra busy. “It will keep me sharp and it’s an opportunity I really wanted to take. I think the extra meetings will benefit me and the teams I race for.